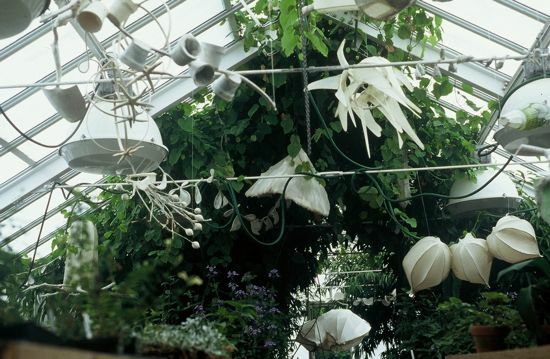 A site-specific installation of paper sculpture in the Greenhouse Conservatory Garden of the Staten Island Botanical Garden at Snug Harbor. 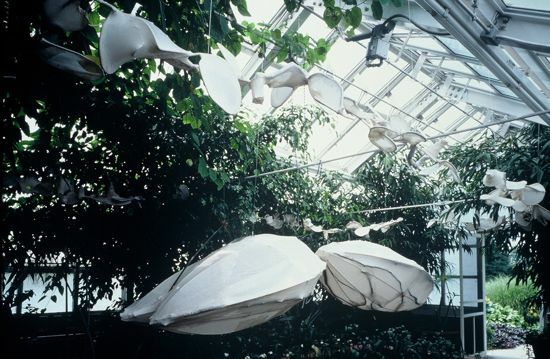 Created in collaboration with Dieu Donne Papermill, sponsored by the Staten Island Botanical garden and the Newhouse Center for Contemporary Art with funds from the Greenwall Foundation. In a greenhouse, light dominates. 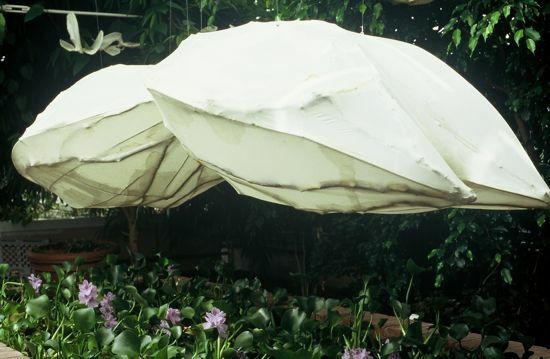 A special form of hand-made abaca paper, used here as a skin for sculptural elements, makes them translucent and heightens the force of light. 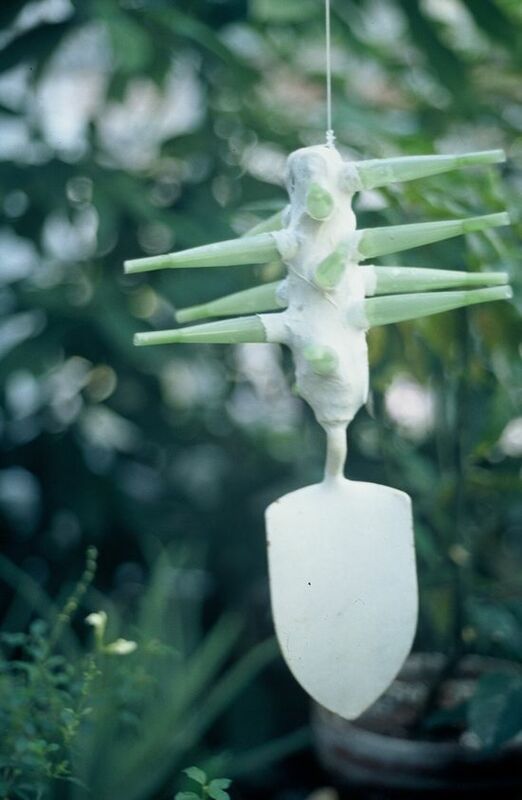 Branches, steel and garden implements form suggestive half-seen armatures. 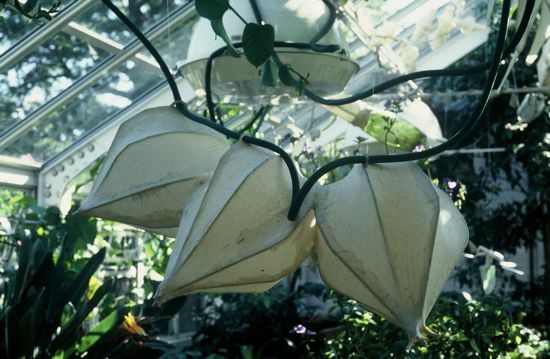 Like all inhabitants of the greenhouse, the gardener and the garden, they are caught in light. Gardens reflect both a love of the wild beauty of nature and a desire to control it. They give pleasure and they require attention. These dualities are both deep and important; as this installation suggests, art is one avenue to exploring and, perhaps, to understanding them.